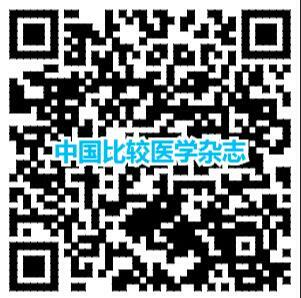 目的 探讨罗丹宁衍生物(rhodanine-1,RD-1)对脑缺血再灌注损伤的保护作用及机制?方法 制作大鼠MCAO 模型后缺血2 h,再灌注24 h,以神经行为评分和脑梗死体积数值评价RD-1 对脑缺血再灌注损伤的保护作用;检测超氧化物歧化酶(SOD)和谷胱甘肽过氧化物酶(GSH-Px)的活性,丙二醛(MDA)的含量,以及Bax,Bcl-2,caspase-3 蛋白的表达,探讨其脑保护作用的机制?结果 与模型组比较,RD-1 低?中?高剂量组神经行为学评分及脑梗死体积比均显著降低( P <0. 05);与模型组比较,RD-1 低?中?高剂量脑组织超氧化物歧化酶(SOD),谷胱甘肽过氧化物酶(GSH-Px)活性明显升高,而丙二醛(MDA)含量则显著降低( P <0. 05);与模型组比较,RD-1 低?中?高剂量组Bax 和caspase-3 蛋白表达水平降低,Bcl-2 蛋白表达水平升高?结论 RD-1 对大鼠脑缺血再灌注损伤有保护作用,其机制可能与提高SOD 和GSH-Px 活性,降低MDA 含量,进而具有的抗氧化作用有关?以及上调Bcl-2 蛋白表达,下调Bax?caspase-3 蛋白表达,进而对抗神经细胞凋亡有关? Objective To investigate the protective effects and mechanisms of action of rhodanine against cerebral ischemia-reperfusion injury. Methods A rat model of middle cerebral artery occlusion (MCAO) was created by exposure to ischemia for 2 h and reperfusion for 24 h. Neuroprotective score and cerebral infarction volume were used to evaluate the protective effects of rhodanine against cerebral ischemia-reperfusion injury. The superoxide dismutase (SOD) activity,the activity of glutathione peroxidase (GSH-Px) and the level of malondialdehyde (MDA) were detected. The expression of Bax, Bcl-2, and caspase-3 proteins were explored to reveal the brain-protective mechanism. Results Compared with those in the model group, the neurobehavioral scores and cerebral infarction volume ratios of the groups with low, medium, and high dose rhodanine were significantly lower ( P <0. 05). Compared with those in the model group, the activity levels of SOD and glutathione peroxidase (GSH-Px) in brain tissue were significantly increased in the groups with low, medium,and high dose rhodanine, while their malondialdehyde (MDA) levels were significantly decreased ( P < 0. 05). The expression levels of Bax and caspase-3 were decreased and the expression of Bcl-2 protein was increased in the low-,medium-, and high-dose groups. Conclusions Rhodanine has protective effects against cerebral ischemia-reperfusion injury, and its mechanism may be related to the improvement of SOD and GSH-Px activity, the decrease of MDA level, and an antioxidative effect. Upregulation of Bcl-2 protein expression and downregulation of Bax and caspase-3 protein expression may also be involved, indicating a relationship with neuronal apoptosis.